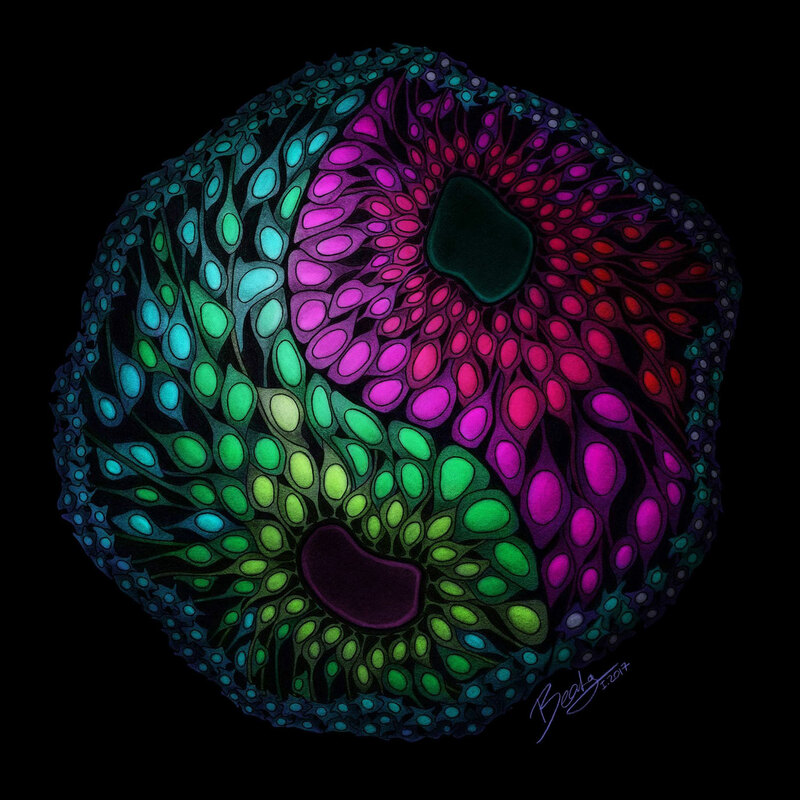 An artist’s rendition of the diverse cells within an organoid and the balance between different brain regions. 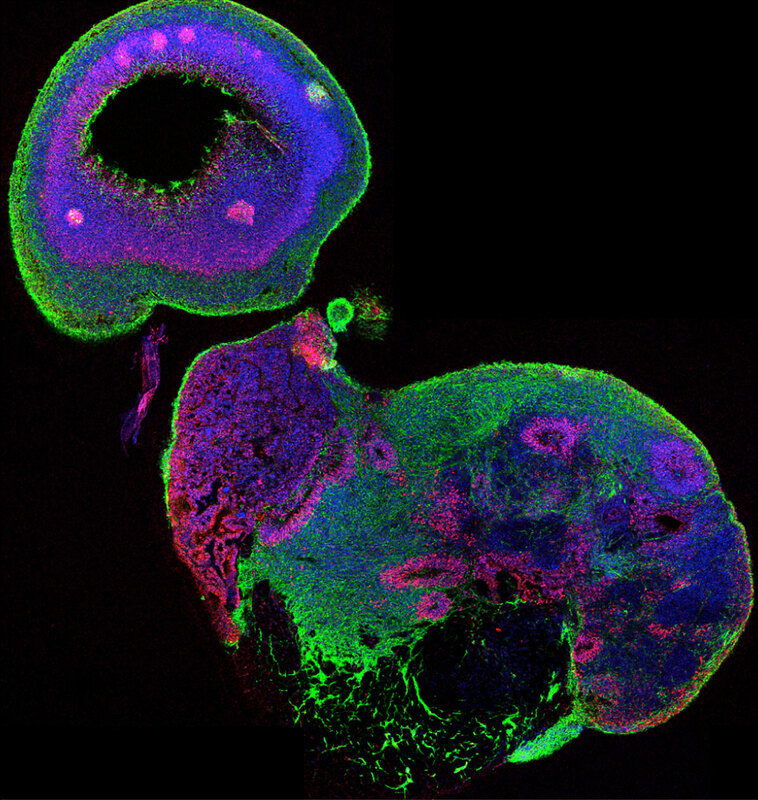 Cover image for Renner M, Lancaster MA, et al. EMBO J. 2017. Credit: Beata Mierzwa. 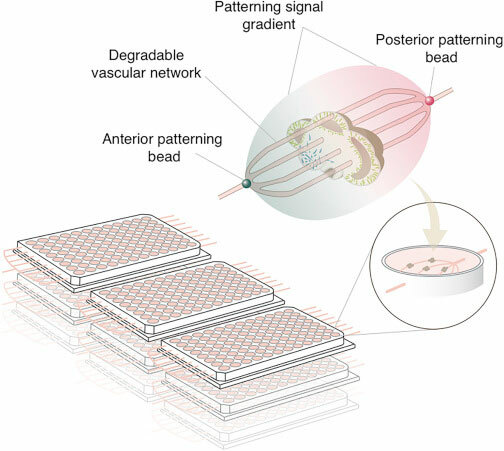 A section through a single lobe of cortical tissue within an organoid. 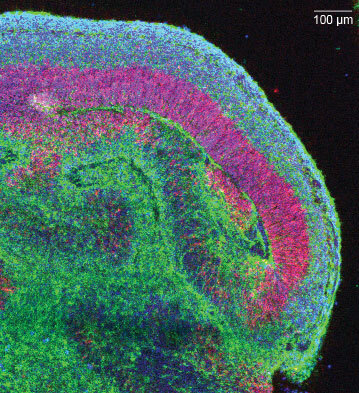 Neurons are in green, neural stem cells in red, and all nuclei are stained in blue. 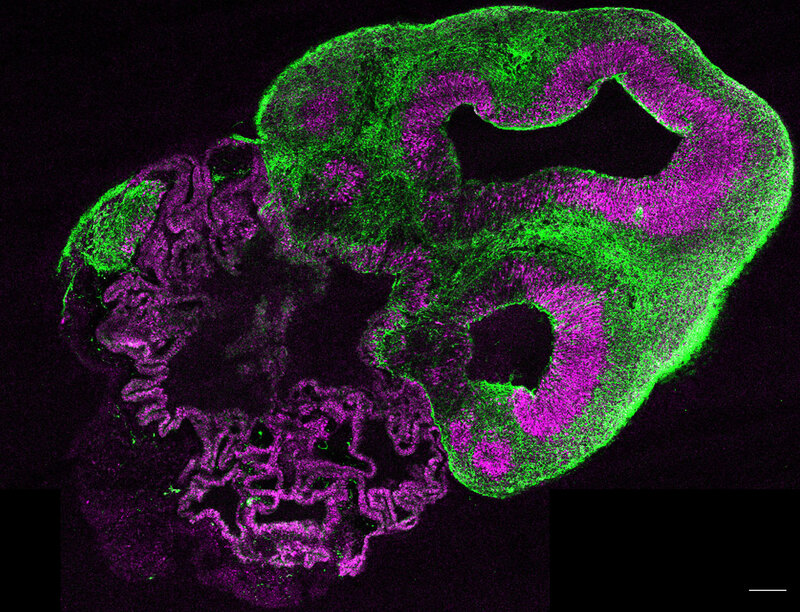 A section through a whole organoid stained for neurons in green and neural stem cells in magenta. 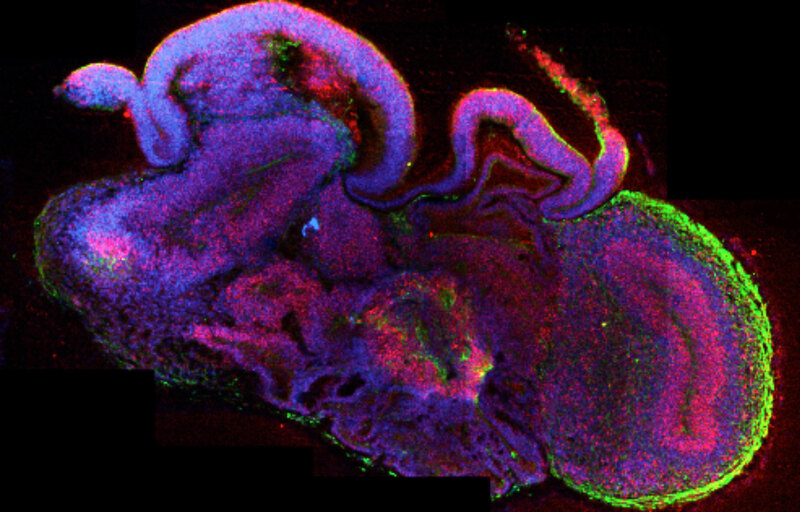 A whole organoid imaged in bright field. 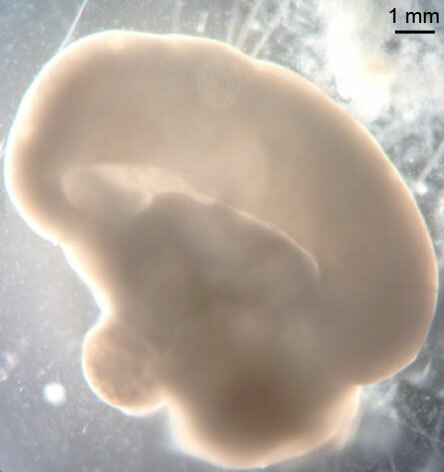 Note the large lobe of cortical tissue and the overall large size of the organoid reaching approximately 1 cm in length. Diagram from Kelava I, Lancaster MA. 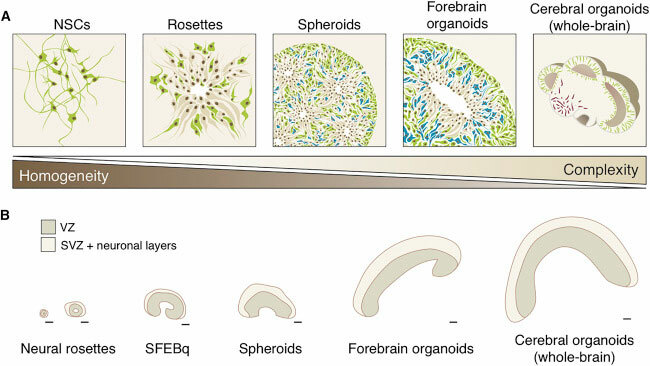 Stem cell models of human brain development. Cell Stem Cell. 2016 Jun 2;18(6):736-48.